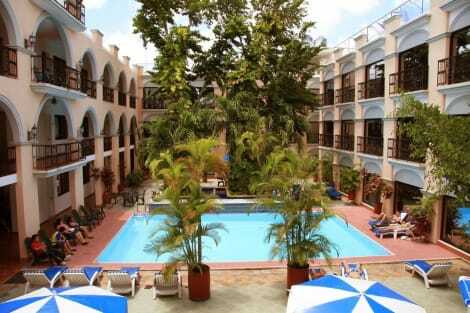 Offering international and local food at the restaurant, and free Wi-Fi throughout, El Gran Hotel is located in a Colonial-style building, 100 metres from Merida Main Square. The rooms offer Colonial décor, cable TV, air conditioning and wardrobe. Featuring a shower, private bathrooms also come with a hairdryer and a bathrobe. Extras include a safety deposit box. A wide range of restaurants can be reached within 30 metres. At El Gran Hotel you will find a 24-hour front desk and a terrace. Other facilities offered include a tour desk. The hotel is 100 metres from Merida Cathedral and 600 metres from La Mejorada Park. The property offers free parking. With a stay at Hotel Caribe, you'll be centrally located in Mérida, within a 5-minute walk of Mérida Cathedral and Plaza Grande. 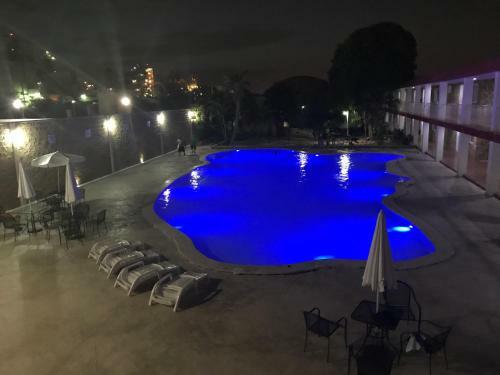 This hotel is 0.5 mi (0.9 km) from Paseo de Montejo and 6 mi (9.7 km) from Plaza Altabrisa. Enjoy a meal at the restaurant, or stay in and take advantage of the hotel's room service (during limited hours). Unwind at the end of the day with a drink at the bar/lounge or the poolside bar. Full breakfasts are available daily from 7 AM to 11 AM for a fee. Located in Mérida (Centro), Hotel Gran Centenario is within a 10-minute walk of Mérida Cathedral and Plaza Grande. 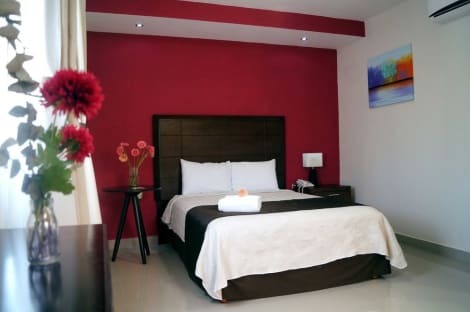 This hotel is 1.3 mi (2.2 km) from U.S. Consulate Merida and 0.4 mi (0.7 km) from Merida English Library. Located in Mérida (Centro), Hotel Doralba Inn is within a 10-minute walk of Plaza Grande and Mérida Cathedral. 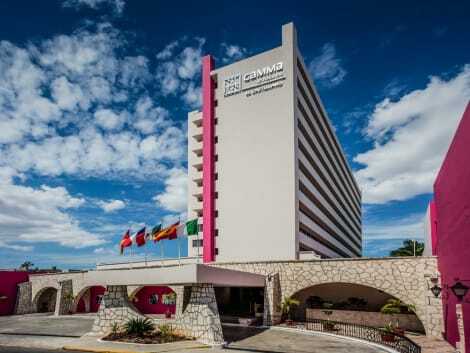 This family-friendly hotel is 1 mi (1.5 km) from Paseo de Montejo and 5.5 mi (8.9 km) from Plaza Altabrisa. At Hotel Suites Flamboyanes, enjoy a satisfying meal at the restaurant. A complimentary continental breakfast is served daily from 7:00 AM to noon.